WexMex is your standard quick-service restaurant that does what most other Mexican-inspired restaurants are trying to do in Brampton: bring big flavours to fiesta-empty neighbourhoods. The restaurant opened on Valentine’s Day, and we arrived just six days later. With prices running anywhere from $3.50 for basic fries to an $11.80 for a combo, this restaurant has become the grand prix for satisfying the lunch cravings of Notre Dame students. This eatery has simple tables and a clean kitchen in plain view of the dining room. It’s the brainchild of a gentleman going through a mid-life change of careers, and WexMex is his first restaurant endeavour. The menu offers burritos, burrito bowls, quesadillas, tacos, fries including poutine, and nachos. Gluten-free options are also available. Two young head chefs have made the recipes for the pulled pork, shrimp, ground beef, steak, and shrimp. 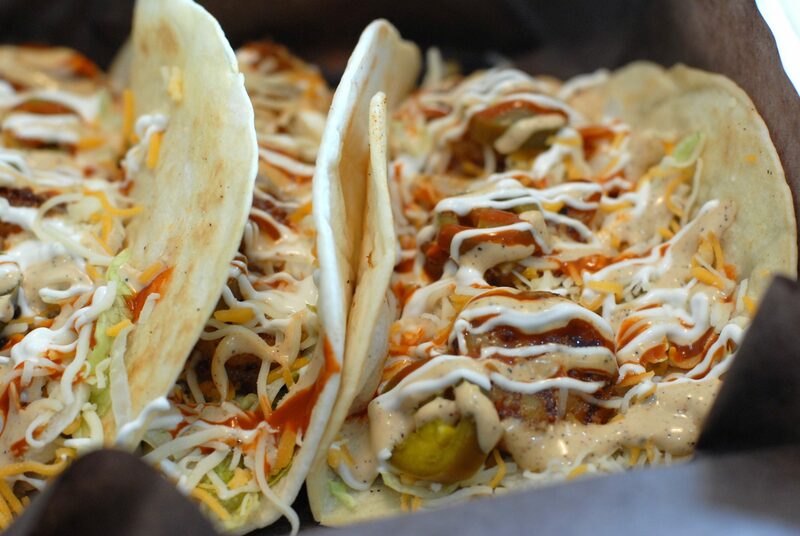 Our choices were shrimp tacos, with sour cream, chipotle sauce, lettuce, jalapeños and cheese; nachos and cheese sauce. The Mex fries we enjoyed with seared chorizo, chipotle sauce, sour cream, cheese and tomatoes, topped with a whole chili pepper. To taste, we also ordered a small sampling of pulled pork. If all the choice sounds overwhelming, never fear: the menu has pre-set combinations, with options for modification. 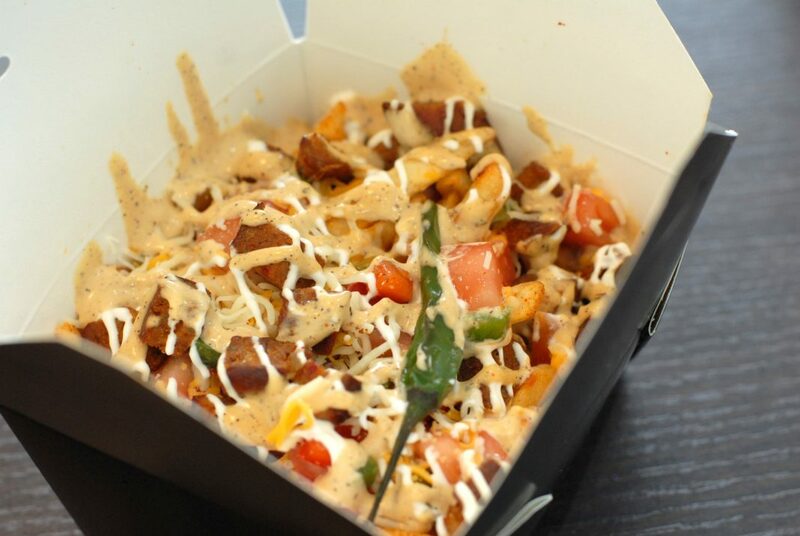 As of now, the Mex fries are the top contender for our favourite item. Overall, the flavours of the dishes went together well, but the cooking times were off. The pulled pork tasted like a traditional BBQ standard with a Mexican flare, and it’s the current crowd favourite. We found it to be slightly over-cooked, as was the Mexican chorizo on the fries. The shrimp was seasoned phenomenally with a healthy dash of oregano, garlic, and paprika, but it was a touch under-cooked. Running a quick-service restaurant is difficult, especially if you are new to the game. You have to understand the balance of fresh ingredients and ready-made fillings, ensuring the food is delicious while keeping things quick and wait times down to a minimum. Service isn’t slow, but it isn’t fully optimized yet, but with more experience it will get there. WexMex is still making changes to its food and service, so feel free to visit and provide the team feedback or wait two to three weeks for guaranteed improvements. WexMex is located at 220 Wexford Rd, unit 7 by Kennedy Rd. and Bovaird Dr. You can see their menu online at www.wexmex.com.